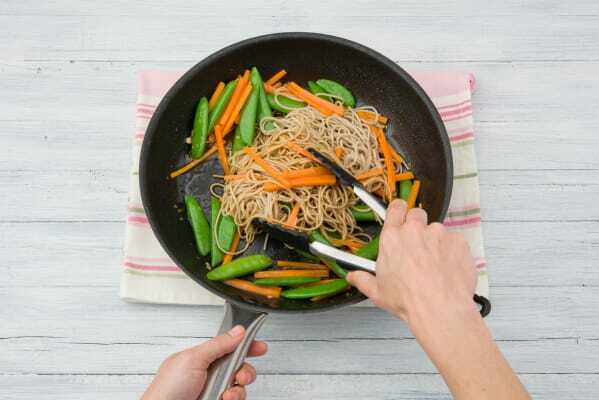 Packed full of protein and whole buckwheat, this fresh Japanese noodle bowl is the perfect thing to give you all the energy you need to hit the gym. Not only is ginger delicious, but it’s anti- inflammatory, so consider this your after workout salve as well. Bring a kettle full of water to the boil. To prepare the ingredients, peel and finely grate the ginger, and peel and crush the garlic. Peel and cut the carrot into matchsticks. Trim and destring the snow peas, and finely slice the spring onion. 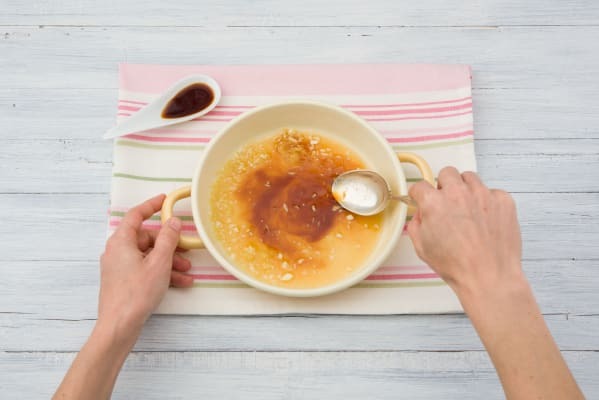 In a medium bowl combine the ginger, garlic, salt-reduced soy sauce, rice wine vinegar, water, brown sugar, and vegetable oil until the sugar dissolves. Add the salmon fillets and toss to coat well. Pour the boiled water into a large pot and bring back to the boil over a medium-high heat. Add the soba noodles and cook according to the packet directions. In the last 2 minutes add the carrot and the snow peas. Drain, then toss through the spring onions. Heat a dash of olive oil in a medium frying pan over a medium-high heat. 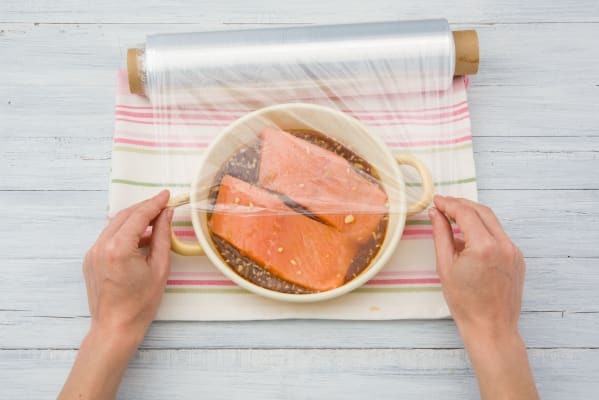 Cook the salmon for 3 minutes on each side, basting with some of the remaining marinade as you go. 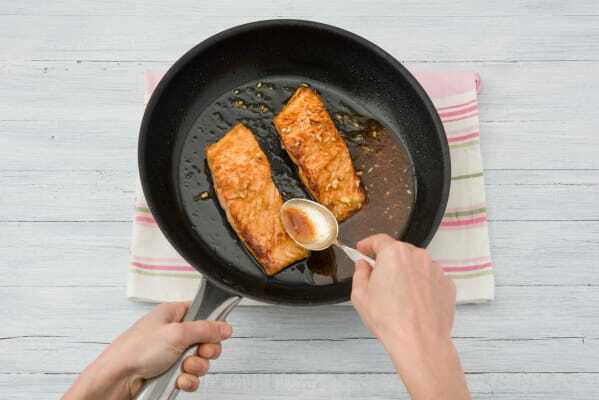 Remove the salmon and add the noodles and the veggies to the pan with any remaining marinade. Toss over a low heat to lightly coat. 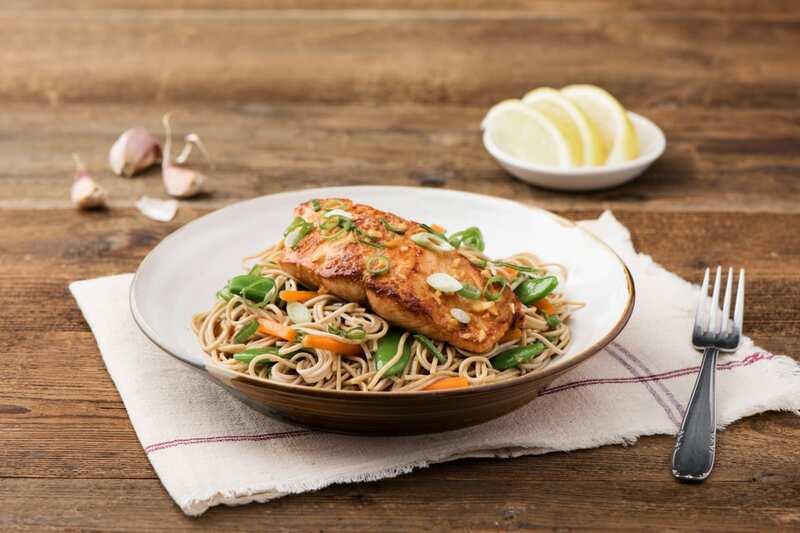 To serve, divide the noodles between plates and top with the salmon fillets.